Pregnancy pain? Chiropractic can help. Webster Technique certified Dr. Tracy Debi combines hip blocking, lumbopelvic adjustments and activator treatments to alleviate pelvic discomfort for pregnant and postpartum patients. Webster Technique is grounded in the physiological concept that utilizing sacral chiropractic treatment throughout pregnancy may eliminate the causes of pelvic pain and promote optimal positioning of the fetus, thereby easing the labour and birth process. Webster Technique is best described as a specific sacral adjustment, aimed at facilitating pelvic alignment and nerve system function. This in turn balances pelvic muscles and ligaments, reduces torsion to the uterus and reduces pain associated with sacroiliac joint dysfunction and pubis symphysis dysfunction. Is Prenatal Chiropractic Treatment Safe? Yes, Chiropractic is safe during all stages of a healthy pregnancy, with some modifications for your comfort and physical limitations. All Chiropractors are trained to safely treat pregnant people. Like all healthcare treatments, Chiropractic does carry some risks alongside its benefits, but your Chiropractic Doctor at Anatomica is trained to assess your health and any potential red flags prior to treatment. You will always remain in control of your treatment plan: if you have questions or concerns, please voice them freely with your Chiropractic Doctor, so that you can work together to individualize your treatment. As with all manual therapy treatments, techniques can be modified to safely suit your health needs, contraindications, and personal preferences. If I’m pregnant, do I have to book a specialty Prenatal treatment? Anatomica’s Prenatal Chiropractic treatment with Webster-Technique trained Chiropractic Doctor Tracy Debi is a longer initial appointment and incorporates specialty techniques like pelvic blocking and sacral adjustments, but all Chiropractic Doctors are trained to treat pregnant patients. If you prefer a classic Chiropractic appointment, you are welcome to book a regular session with either of our Chiropractic doctors! I may need support at my appointment, can a friend come with me? Absolutely! You are always welcome to have a support person with you during any of your appointments at Anatomica. They may stay with you for the duration of your appointment or relax in our waiting room while you are being treated. Will treatment be covered by my insurance plan? Most major benefits plans offer coverage for Chiropractic treatment — including Prenatal Chiropractic treatments — and we offer direct billing for Chiropractic, Massage Therapy and Acupuncture on many major plans. Please consult your individual plan for coverage details. Further to our post earlier this week, we sat down with Dr. Tracy and asked her a few questions so you could get to know her better. What are some cool courses/certifications you have taken? I am a lifelong student and always interested in learning. Currently, I am learning more about how movement therapy can decrease pain and facilitiate return to normal activities. Three types of treatment at which I am really good? And Thinking outside of the box! How do you work with the other health professionals on the team to carry out a common treatment plan? I like to get to know other therapists’ personalities and types of treatment they are good at, and I also want to find out their approach to treatment so I can match patients with someone who they would get along with and skills which I do not possess in order to offer a full, well rounded treatment plan. Something fun you don’t know about me! August was busy at Anatomica, as we brought on three new team members! We’ll be doing a profile for each of them in the next week so you may learn more about them as therapists and the treatments they provide. We’re going to start with our new Athletic Therapist, Adam McLaughlin. 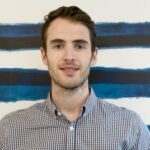 Adam became a Certified Athletic Therapist in 2015 after pursuing an Undergraduate Degree in Human Kinetics from Laurentian University and further continuing his formal education at Sheridan College graduating with an Honours Bachelor of Applied Health Sciences in Athletic Therapy. 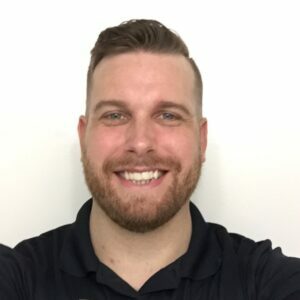 As an Athletic Therapist, Adam specializes in the assessment and rehabilitation of musculoskeletal injuries applied through a sports medicine model using manual techniques and therapeutic exercise prescription. We asked Adam a few questions so you could get to know him better! What are three types of treatment at which you are really good? How does an athletic therapist work with other health professional to carry out a common treatment plan? I would be able to loosen up the joint/treatment area before they see another professional such as a chiropractor, and then provide therapeutic exercises and at home treatment programs to provide progression with the affected area. I have a goal to volunteer for the Olympics as an Athletic Therapist, and I’m a self proclaimed geek! We’re very happy to have Adam join us so we can provide our clients with a fully rounded rehabilitation team. Most major benefits plans allow coverage for Osteopathy, and direct billing is available on many Greenshield and Medavie BlueCross plans. Receipts will be provided for any clients wishing to submit to other health care plans with coverage for Osteopathy. Osteopaths are functional anatomists who use manual therapy and gentle manipulations to restore proper body mechanics, nerve impulses and the circulation of cardiovascular, digestive, lymphatic and spinal cord fluids. This allows the client to thrive, as the body naturally heals from injuries, illness, and trauma. All Osteopaths at Anatomica hold Masters degrees in Osteopathic Science – the highest standard of education in Osteopathy. 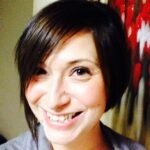 Julie is a graduate of the Canadian Academy of Osteopathy and is a member of the Ontario Osteopathic Association. She is a Certified Yoga Instructor and Art Historian, and through a weaving of these global experiences Julie because interested in the artful mechanics of the human form, and the body’s self-healing mechanism. Julie continues to study functional anatomy, physiology and body mechanics to provide highly personalized care for each individual she treats. Brendan graduated from Victoria University in Melbourne, Australia with a Bachelor of Clinical Science and a Masters of Osteopathy. While studying, Brendan worked as a sports trainer for AFC, where he developed a passion for treating sports injuries. back, knee and foot pain, He uses a wide range of physical therapy technique including joint mobilization, massage, stretching and rehabilitation exercises. 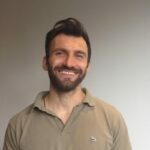 A certified member of the OAO, Brendan is dedicated to expanding his knowledge and osteopathic skills to provide the best treatment, and passionate about educating his clients and giving them the knowledge, tools and support to help them on their health journey. Integrative Manual Treatment is a great option if you want to experience Osteopathic theory but your benefits or health care plan doesn’t have separate coverage for it! Amir graduated from Sutherland Chan in 2004 and went on to complete 5 years of study at the Canadian College of Osteopathy. He is currently writing his thesis as a candidate to obtain his Diploma of Osteopathic Manual Practice. *Eligible for direct billing or reimbursement under plans with RMT coverage. Integrative Manual Treatment does not qualify for Osteopathic coverage. Want to experience some of the benefits of osteopathy, but don’t want to “miss out” on your traditional Swedish massage session? We understand! Janet is a senior massage therapist at Anatomica. She became an RMT in 2001 and is currently in her third year of study into the D.O.M.P. program at Canadian College of Osteopathy. What exactly does that mean? When you arrive at your osteopathy appointment, it’s best to be wearing something similar to what you may wear to a yoga class. Unlike other appointments, you remain clothed. You’ll start with an in depth assessment to see how your body is moving and any problem areas, ranging from your spine or ankles to your organs. Osteopathy treats your body as a whole, which means that while you’re having hip pain, you may receive treatment in your shoulders and neck which allow for your hips to move better. From there, you’ll receive a hands on manual treatment specific to what is going on in your body. You may receive stretching, gentle pressure or resistance; often the movements feel quite gentle, but have a big impact. My experience with my osteopathic treatment with Julie included decreased pain in my knees and joints, being able to breathe deeper, much improved sleep and better overall range of motion. 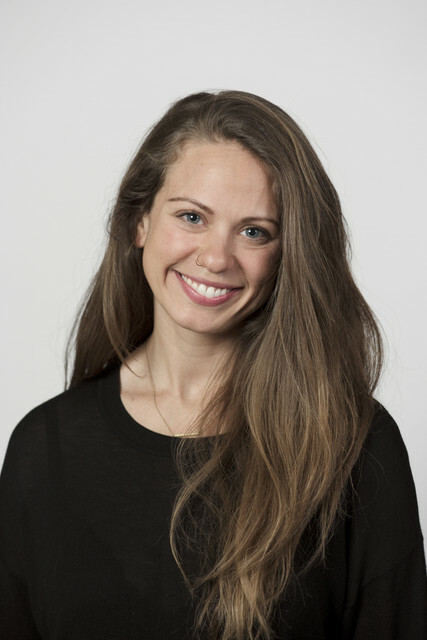 We’re Pleased to Welcome Osteopath Julie Krize, M.OMSc to the team! 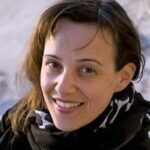 Julie is a graduate of the Canadian Academy of Osteopathy and is a member of the Ontario Osteopathic Association. She is a Certified Yoga Instructor and Art Historian, and through a weaving of these global experiences Julie because interested in the artful mechanics of the human form, and the body’s self-healing mechanism. Along her own journey towards health, Julie sought out conventional therapies and had no lasting results. 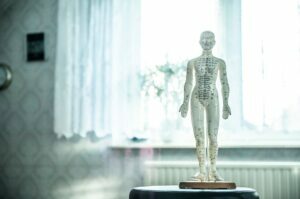 Her own experience of an osteopathic practitioner was fascinating, balanced and effective, and inspired her to pursue her education in Osteopathy. Julie continues to study functional anatomy, physiology and body mechanics to provide highly personalized care for each individual she treats. 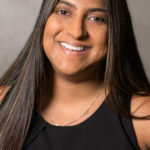 Her interests beyond her osteopathic practice include zen based meditation practices, awareness around mental health, and living a socially active and engaged life. Julie starts with us next Thursday, April 12th. You can see her full schedule and book your appointment here! National Geographic ran a series on the health care New England Patriots defensive player James Harrison receives, including our previous post on cupping. The most recent post is his acupuncture routine. James reports that it has helped him with recovery after workouts and playing on the field. In this picture, more than 400 needles are being used as part of his treatment! He used to hate needles and was hesitant to try, but after his first treatment worked he was converted. So much so, that he pays for his acupuncturist to fly weekly to wherever he is from New York. We also offer acupuncture both either our traditional TCM treatments with Annette Lambert or an RMT treatment with Kristin Hodgen. The treatment will be custom to your body’s needs, and may involve a wide range of other modalities as well. Book online or by calling us at 416-890-1505 to learn more! If it’s good enough for a professional football player who has been on the field for nearly two decades, it could do wonders for you too! Both Annette Lambert (Acupuncturist) and Kristin Hodgen (Athletic Therapist and RMT) offer cupping as part of your treatment – if you’re interested in learning more about what cupping can do for you, book an appointment today!